Today, we worked on a variety of poses, inspired by the paintings of Wilhelm Hamershoi. There was an exhibition of his work at the Royal Academy in 2008, called 'the poetry of silence' a title which describe these exquisite paintings very well. Our model, Namushka wore a dark coloured dress for one of the poses, inspired by the painting 'Interior with young woman from behind. 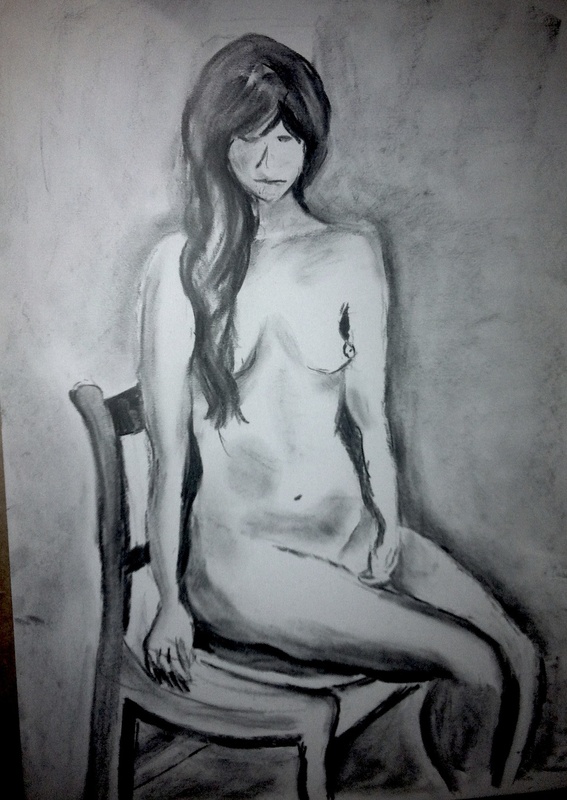 The pictures below, are from the 1 hour pose we did after the break, during the second half of the session. 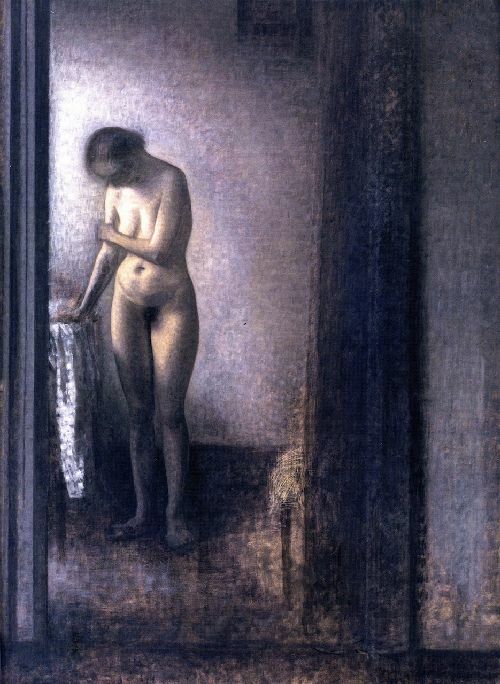 Wilhelm Hammershoi Interior with young women from behind.